Millions of people around the world have enjoyed learning Dr Lam’s Tai Chi for Health pr2 Group photo, St Louis 2014 NLograms, and gained better health and quality of life as a result. His programs are easy-to-learn and proven by medical studies to improve health and wellness. A good way to learn one of these programs is to follow 3 steps below. Tai Chi for Beginners – a great start with the Six Easy Steps, anyone can learn this. Tai Chi for Arthritis (also known as Tai Chi for Fall Prevention) – if you prefer a gentle start, have arthritis or other chronic conditions. This program is recommended by Centers for Disease Control and Prevention (cdc.gov) for preventing falls, it is suitable for almost anyone with or without arthritis. Tai Chi for Energy – if you prefer a more challenging and faster-paced program. Tai Chi for Rehabilitation – an enjoyable way to aid recovery from major surgery, illness or just daily stress. Tai Chi for Diabetes – to improve the control of diabetes and minimize complications. Tai Chi for Osteoporosis – to strengthen bones and improve balance thereby reducing falls. Tai Chi @ Work – tailored to your working environment to relieve stress. Tai Chi 4 Kidz – a fun program to improve concentration and coordination. You can learn from Dr Lam’s instructional DVD. You will find it is almost as though you are attending Dr Lam’s class and he can read your mind and know what you need next! Be sure to set up a regular time to practice daily. Soon you will gain health benefits and enjoyment. Better still, you can go to the Dr Paul Lam Tai Chi for Health Institute’s website to find a class conducted by one of TCHI Board certified instructors, or come to one of Dr Lam’s workshops and meet him in person. A very good way is to use both his DVD and attend a suitable tai chi class. Continue to practice regularly, reach out to tai chi enthusiasts around you and practice with them. If you have not done that yet, find an instructor who resonates with you. Enjoy your journey to health and wellness. Board certified instructors globally, subscribe to Dr Lam’s Newsletter for more information. For the Tai Chi for Beginners and Arthritis programs there are downloadable lessons available. 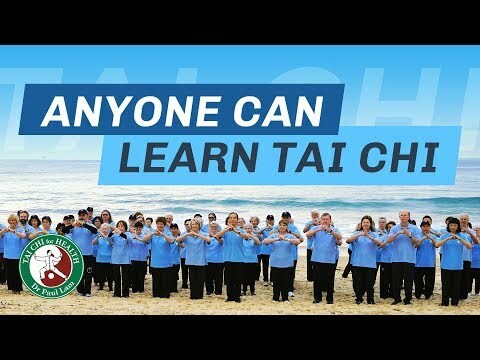 You can also find tai chi books, many instructional DVDs, tai chi music and other material at Tai Chi Productions, created by Dr Lam for one single purpose – to improve your health and wellness.